SA: « EUROPE CAUSED REFUGEE CRISIS BY BOMBING LIBYA, KILLING GADDAFI », ZUMA. PRESIDENT Jacob Zuma has outlined South Africa’s foreign policy positions on several international issues, pledging to continue « our relentless work to achieve the reform of the United Nations, especially of the security council » at the next session of the world body. The flood of refugees from Africa « was triggered by the undermining of the security situation ». »The consistent, systematic bombing of Nato forces undermined security and caused the conflict that continues in Libya and the neighbouring countries. » »They don’t want to accept the refugees. They caused it, » he said. Turning to « some outstanding peace and security issues », Zuma said: « There can be no lasting peace in the middle east for as long as Palestinians are denied their inalienable right to a land of their own. » He described the recent UN decision to allow Palestinian flag to fly outside its headquarters as a « great victory ». Palestinians needed their own country « existing side-by-side and at peace with Israel » and « with east Jerusalem as its capital ». 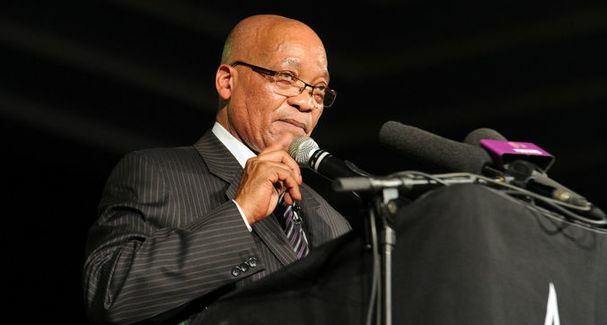 Zuma said South Africa urged all parties to the Israel-Palestine conflict « to return to negotiations ». Zuma outlined several steps that needed to be taken to bring an end to the conflict including that « all Palestinian parties and groupings need to form a cohesive collective solidarity front » and that Israel need to stop « the unacceptable blockade of Gaza ». South Africa was « extremely concerned » about the conflict in South Sudan. He commended all parties to the conflict for signing « the compromise agreement » which laid the basis for a transitional authority.